Hopping around the Maldive islands equipped with a mobile laboratory in his backpack for close to seven years, Menimal’s sound has evolved into something that is nostalgic yet futuristic, primal but ahead of the curve. One of the founders of the local audio/visual collective The Underground Movement and a pioneer of the local electronic music scene, Menimal has collaborated and performed with a variety of local and international artists. He has worked with many luxury brands like Per Aquum, Dusit Thani and held residencies at the Waldorf Astoria’s Beach House at Manafaru in 2009, Conrad Maldives at Rangali Island from 2010 till 2013, and has also had the privilege of performing at the Ministry of Sound in London in 2012. 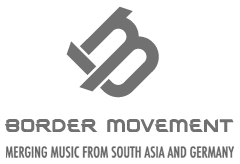 He is currently expecting his first release on the Sri Lankan Label Jambutek Recordings. Scattered with tongue-in-cheek clips of speeches and recordings, his sets are about engaging the audience in having fun. Menimal is unafraid to move between different formats and is constantly seeking out the unconventional.